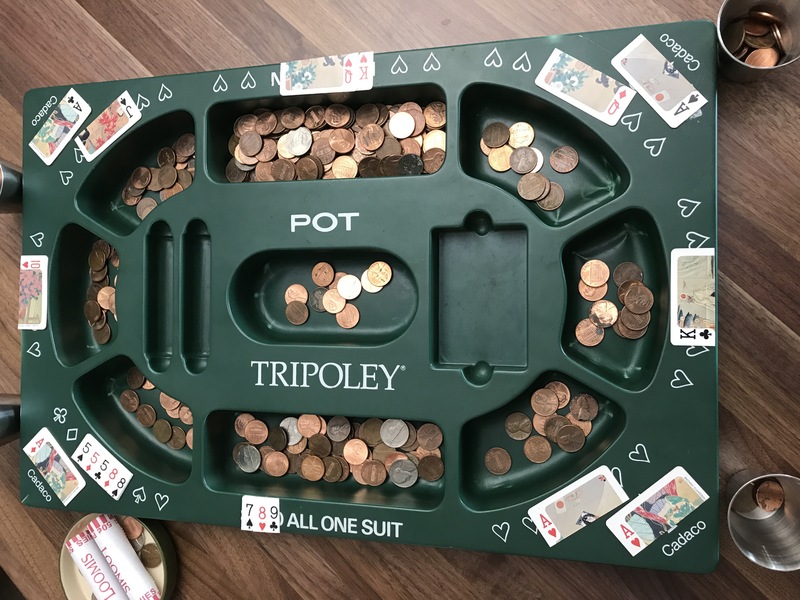 We customized this Tripoley board to be more like the Michigan Rummy we had as kids. Over twenty years later we finally doubled the stakes from playing for pennies to 2¢. Almost 20 rolls of pennies are in play. It’s a high stakes game!